Learn how to reduce winter falls on your commercial property all winter long. Stormy winter weather and chilly temperatures bring plenty of snow and ice this time of year. While a winter wonderland may be beautiful, it also has its fair share of danger. Slippery icy roads and walkways can cause serious injury, especially when it comes to your commercial property. Ensure that you protect your business from any accidental slips and falls this winter with these winter fall prevention tips. Here’s what you need to know. 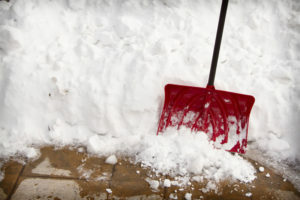 When it comes to shoveling snow and salting the walkways, ensure that your commercial property sets proper procedures. Know how to respond to various types of winter weather to keep your visitors, both employees and customers alike, safe from any winter hazards. That way everyone is on the same page, and there’s less room for error. Be wary of how you go about winterizing your property. Ensure that snow piles don’t obstruct visibility and be cautious of refreezing. It’s important to be vigilant of winter storms so that when they strike, you’re ready to prepare your building. Monitor the weather and get ready as soon as you hear about the threat of freezing winter temps. Establish policy that requires employees to record what they do when winterizing the property. That way you have a written record of all the safety precautions that were taken. Include everything from the date and time the precaution that was taken, who performed the action, and whether or not there were any special issues to note. Stay safe all winter long with these fall prevention tips and the right commercial insurance coverage. Contact the professionals at Robert J. Los Insurance Agency to find you the right insurance plan. Located in Hamburg, New York, we serve all your personal and commercial insurance needs.